This is a more flexible form of purchase agreement. The initial deposit and repayment periods can be structured to meet your requirements and budget. A final lump sum balloon payment option is available if you would rather make lower repayments throughout the agreement. 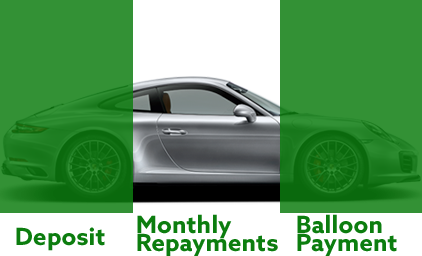 The balloon payment is calculated on the anticipated value of the car at the end of the agreement.